Dunsford is a beautifully restored Victorian house providing high quality accommodation exclusively for discerning couples. It is ideally situated in a quiet location and yet is only a two minute walk from the town centre, coach station, shops and eating places. The lake, with its renowned ‘Theatre by the Lake’ is also within easy walking distance. All Dunsford’s bedrooms have en-suite shower and toilets and are furnished and decorated to the highest standards. 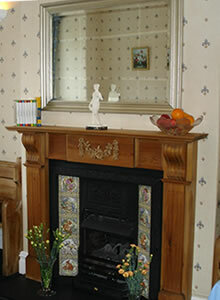 Colour televisions, tea and coffee making facilities and a clock radio are provided and all rooms are fully central heated. 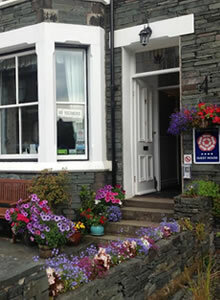 Dunsford Guest House is ideally situated in Stanger Street which stands alone close to the Town Centre. It is quiet and peaceful whatever the time of year. At the top of the street is the beautiful River Greta with a footbridge leading into Fitz Park and to the fells of Latrigg and onto Skiddaw, whilst at the bottom of the street is the town centre with its many shops, pubs, eateries and places to visit. Dunsford has a private car park which guests are welcome to use and, can be accessed via the passageway to the rear of the property. There is also unlimited free on-street parking to the front. Just announced! 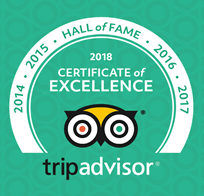 To go with our previous TripAdvisor ‘Hall of Fame’ awards for achieving five consecutive Certificates of Excellence, we are extremely proud to have been awarded a Hall of Fame – Certificate of Excellence covering 2014 to 2018.